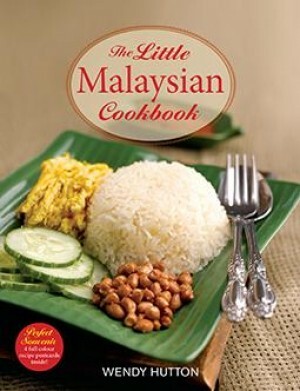 The Little Malaysian Cookbook offers tried and tested recipes from renowned food writer, Wendy Hutton, for some of the peninsula’s best-loved foods. Find popular hawker dishes such as Hainanese chicken rice, satay with sweet peanut sauce, tangy assam laksa, fragrant nasi lemak and versatile roti jala that can be enjoyed as a snack or main meal. Clearly explained recipes ensure that any home cook can produce these authentic and delicious Malaysian dishes to share with friends and family.